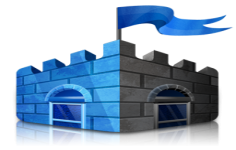 Microsoft Security Essentials provides a free real-time protection of your system against all types of threats: viruses, spyware, trojans, rootkits and other malicious applications. Microsoft totally free security solution offers all the basicfunctions of a serious antivirus: multiple analysis methods (fast, comprehensive, personalized, etc..) scheduled analyzes(with choice of day, the time and type ofanalysis), history of processedfiles, and more. The application works quietly behind your operating system. It benefits from the largest contributions technicians of Microsoft. Its resident scanner provides real-time protection, analyzing program activity,downloaded files and email attachments. By default, a restore point is created automatically before any action. In addition, the program allows to exclude certain folders, file types and processes. Finally, Microsoft Security Essentials runs smoothly on laptops and netbooks as it uses minimal resources and disk space and it automatically downloads the latest updates of virus database.